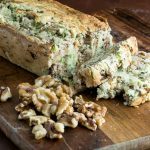 This keto zucchini and walnut bread is a simple gluten free, grain free recipe that will keep the family guessing “How is this bread low carb?”. 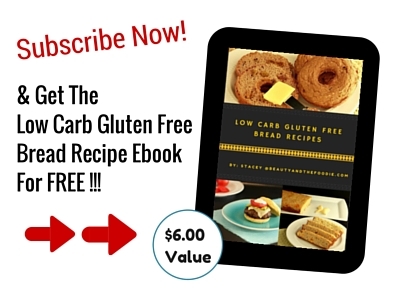 Aaron from the ketogenic food blog FatForWeightLoss has created this recipe, and has perfected many other ketogenic bread recipes over on his blog too! As someone who has also studied a little into nutrition, I can totally relate to the fact that we’ve been taught all the wrong information. Nutrition is changing rapidly, and it’s our job to educate the forefront of ideas and tactics that can lead to a better, healthier life. Which brings me to a very important reason why you should make this gluten-free zucchini bread. The reason is that whilst low carb is a simple way to reduce body fat and increase mental clarity, it’s also important to be getting all the essential vitamins and minerals from your food. 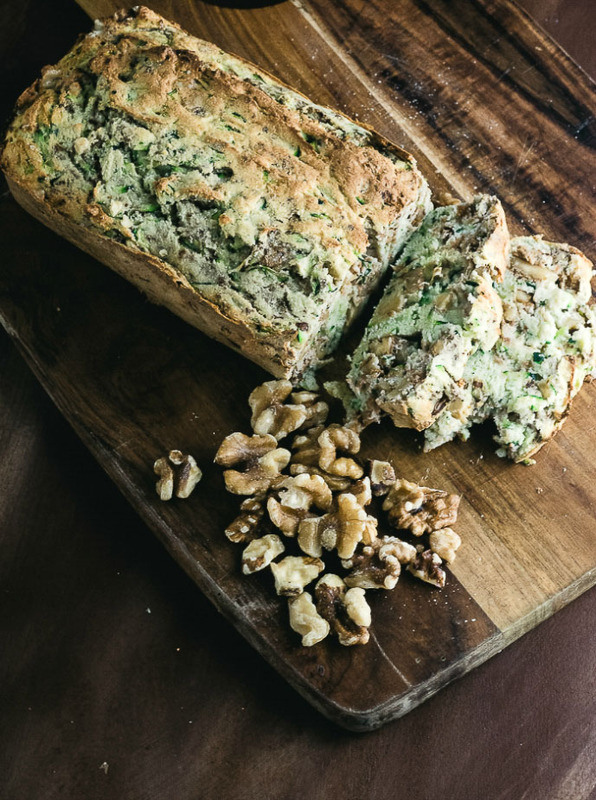 Let us go through a few of the key ingredient in this simple zucchini and walnut keto bread and assess why you would want to use a zucchini in the recipe. Zucchini is a good source of Vitamin C, B6, Manganese, Riboflavin and Potassium. 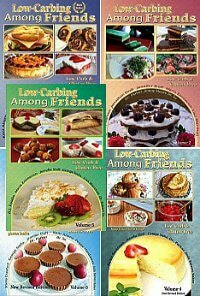 These are all important nutrients on a low carb high-fat diet. The seeds of a zucchini are effective at reducing free radical damage and oxidation. They also hold what is called “anti-peroxidative” properties which can aid liver function and detoxification. Walnuts also contain very beneficial cancer-fighting properties, specifically prostate cancer and breast cancer. As little as two handfuls of walnuts can cut breast cancer risk in half, and reduce prostate tumor growth by 40-50%. They are also an amazing brain food, including vitamin E, folate, melatonin and omega 3, which all show signs of supporting brain health and reducing the oxidative stress that occurs in aging. 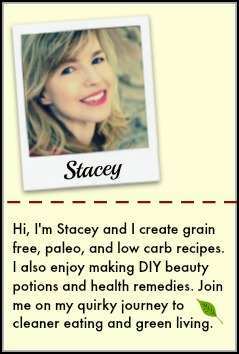 Hopefully, you enjoy this recipe as much as I enjoyed making it. ½ Cup Walnuts, Coarsely chopped. Grate Zucchini into a large mixing bowl. 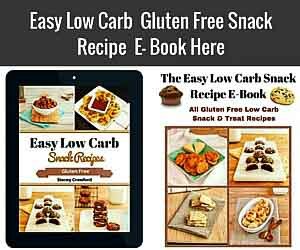 Place all ingredients except walnuts into the mixing bowl and mix with an electric mixer for 1-2 mins. Grease a loaf tin, place ingredients into the tin. Place the walnuts on top and mix in whilst leveling the top of the mixture. Bake for 50 mins at 180C (350F). 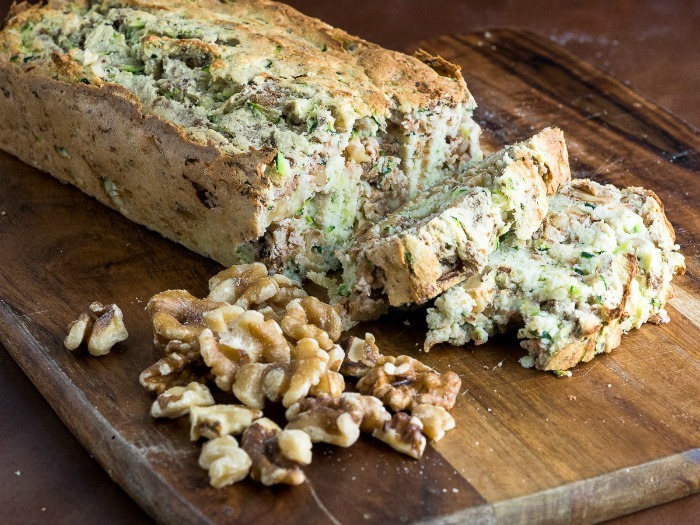 Nutritional Data: Yield:10 servings, Serving size: 1 slice out of 10, Cal: 191, Total Carbs: 5 g, Net Carbs: 2 g, Fiber: 3 g, Fat: 16 g, Saturated Fat: 8 g, Protein: 6 g, Sugars; 1 g.
A ketogenic zucchini and walnut bread that is a simple gluten free, and grain free bread recipe. ½ Cup Walnuts Coarsely chopped. Yield: 10 slices, Serving Size: 1 slice out of 10. Please check out Aaron’s ketogenic blog and social media! I’m black and white and my oven settings only has 350 or 375. How long do I bake it on 350? Sarah, thank you for sharing your additions! That sounds awesome! What size zucchini do you use? Hi Susan, A medium-sized zucchini (4 to 6 inch).